It determines which superhero you are most like. 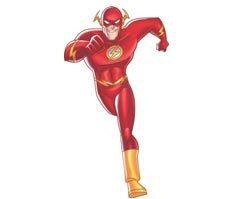 So, I end up being "the Flash" Fast, Athletic and Flirtatious (supposedly). We have: Wonderwoman, Catwoman and The Green lantern lined up so far. This could be interesting.